The Coquitlam Public Library has run a Book Bus program since 2009. 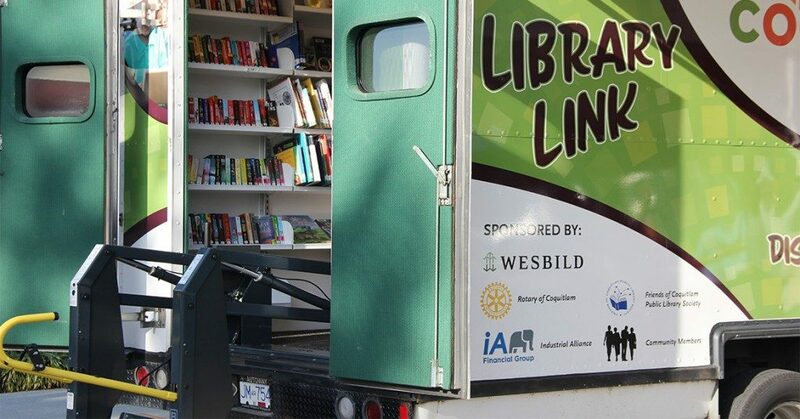 This friendly little library on wheels visits local communities and allows visitors to sign up for a library card and then borrow movies or books. In May 2014, a fire destroyed the original library book bus. While limited service continued with a rental van, the Coquitlam Public Library set out to replace the book bus to better serve the Coquitlam Community. Wesbild donated $20,000 towards the brand new Library Link Book Bus. This new vehicle provides expanded services including over 3000 books, publications and resources and is fully wheelchair accessible. Wesbild is pleased to help make the library more accessible for families, students and seniors.